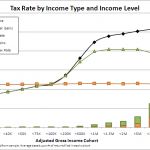 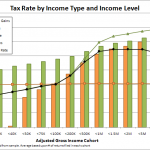 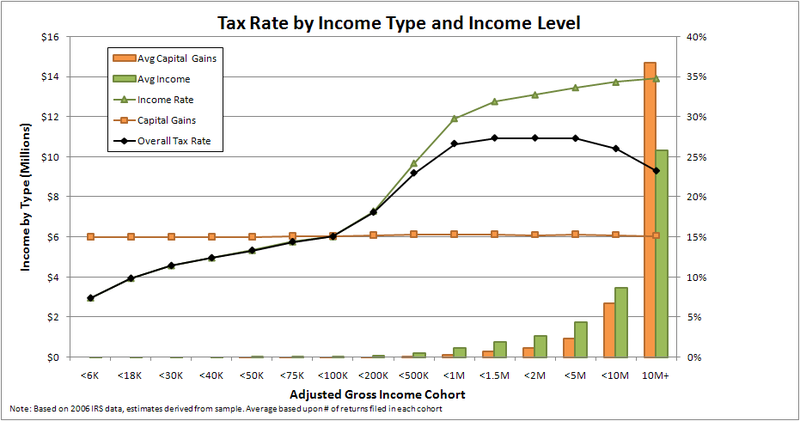 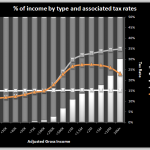 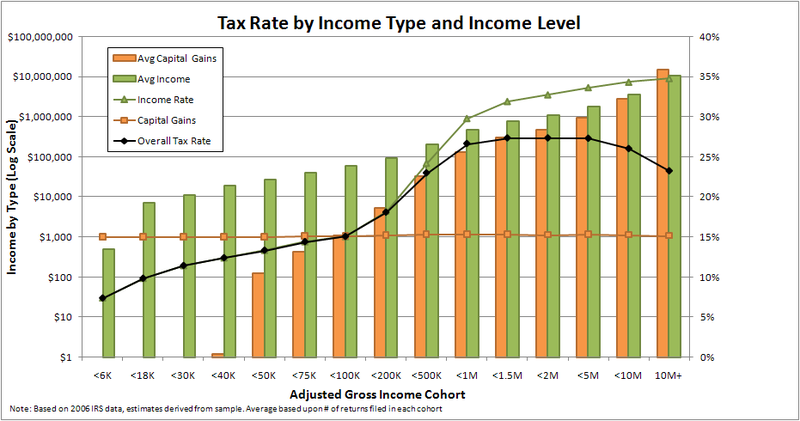 Here is a quick analysis of effective tax rates using official IRS tax data from 2006. 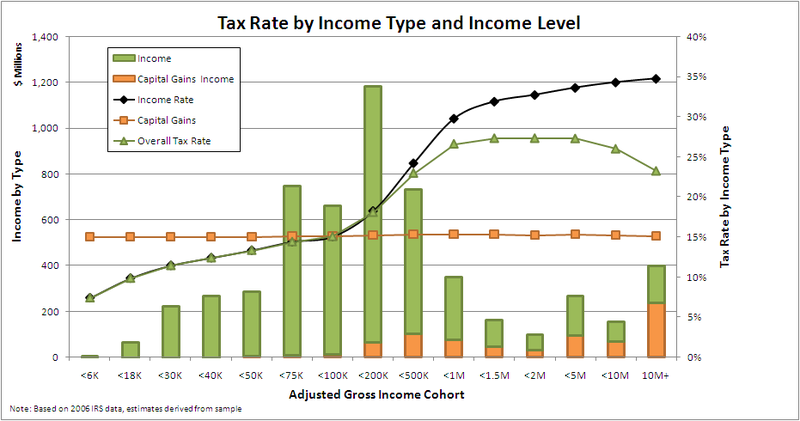 I segmenting the population into cohorts based on their AGI (Adjusted Gross Income), then split their earnings and tax burden into regular income and capital gains categories. 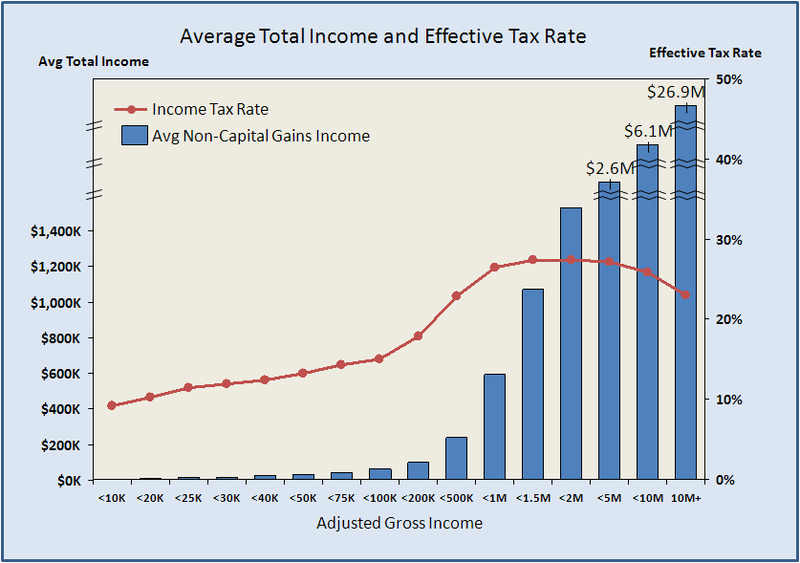 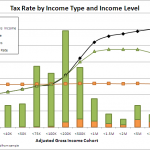 These graphs clearly show that higher AGI cohorts receive a significantly bigger portion of their income from capital gains, which are generally taxed at a flat marginal rate of 15%, compared to the top marginal rate of 33% on normal income. 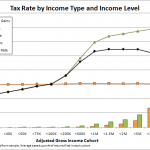 This reduces their effective tax rate relative to lower AGI cohorts, distorting the tax burden. 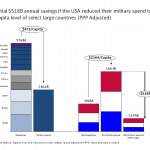 Here are a few graphs that compare the national military spend in the US with other developed countries. 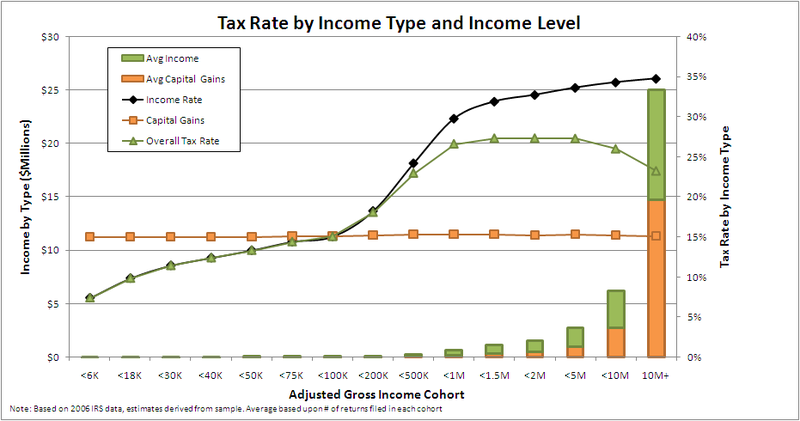 I used several distinct data sources to pull this together so the numbers may not be exact, but they will be close. 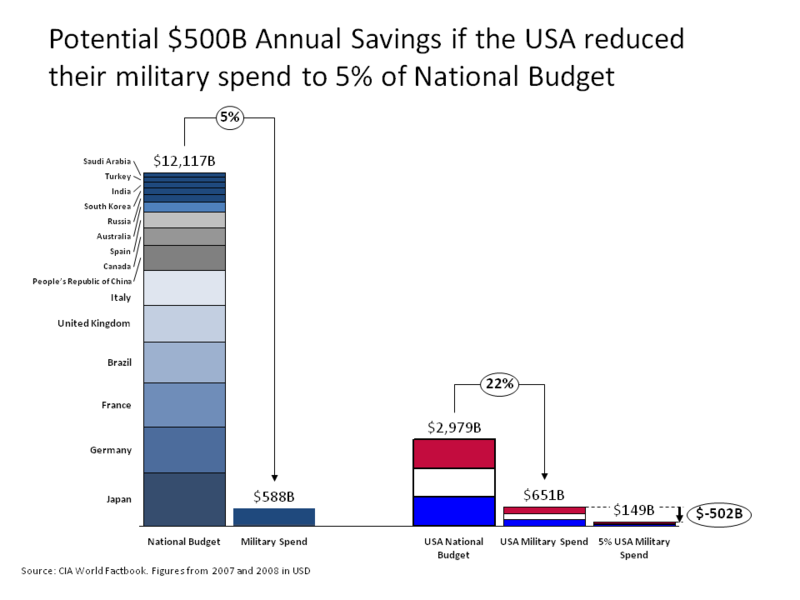 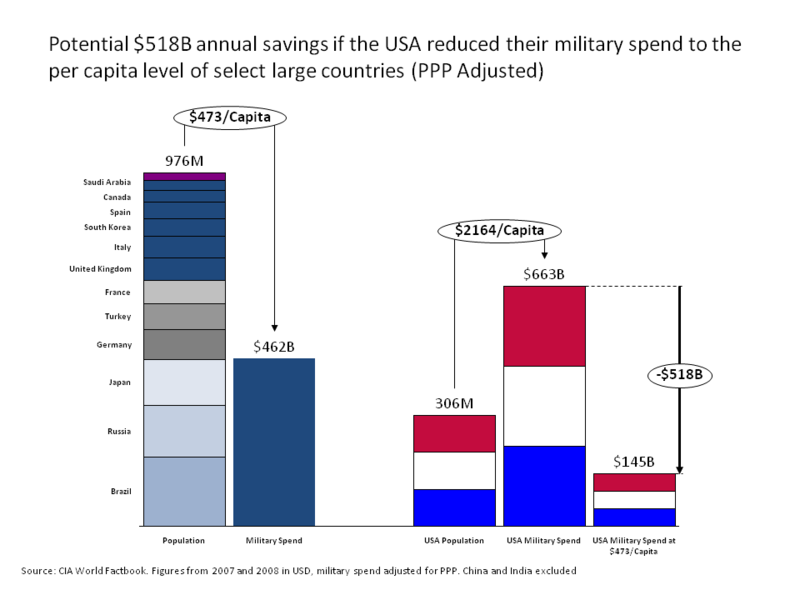 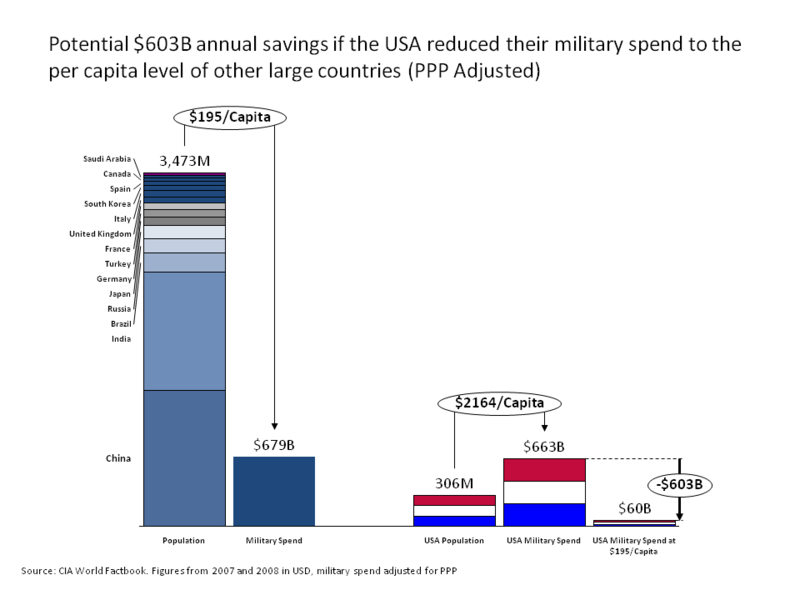 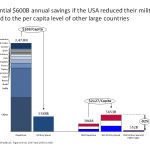 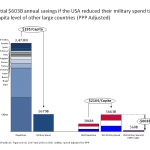 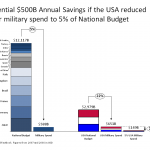 The main take-away from this analysis is that if the US military spend per capita or as a percentage of our national budget was at a level comparable to other developed countries, it would save between $500B and $600B annually.